If you are looking for a home with a dock, there are 4 on Balboa Island ranging in price from $2,895,000 (very small dock) to $7,495,000 that has a dock that can accommodate 3 boats. Boat docks are a premium because there just aren’t that many available. One very special feature about the Island is that when you are looking out over the water at night….you have a view. A view of the lighted docks, a view of the lights across the bay and the canals and a view of the boats in the Harbor. And the Pavilion has lights all year around. It is so magical to walk around the boardwalk at night. This time of year with all the Christmas decorations……it is such a Beautiful sight! 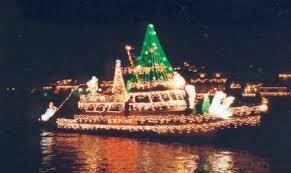 One of my favorite Holiday events is the Newport Harbor Boat Parade. It starts December 17th and goes until December 21st. The parade starts at 6:30 on the North Bayfront, then goes to the Bay and South Bayfront and then back to the starting point, ending about 9:00. All the restaurants take reservations so you can enjoy a meal and watch the parade. 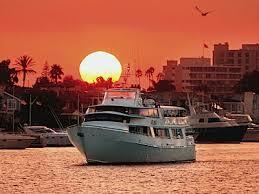 All the private Yacht Clubs have parties and rooms can be rented at the Boy Scouts facility on Pacific Coast Highway. 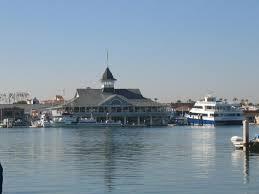 It is free to walk around Balboa Island and watch it from both sides. Plus many of the shops are open late and all the restaurants take reservations. Parking is always an issue, so please park off the Island and take a cab or walk. 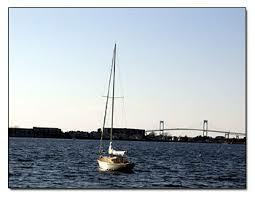 There is more information on the Newport Harbor Chamber of Commerce web site. Another Beautiful property just came on the maket last week. It is on a private Island with 23 private bayfront homes. It is such a unique experience. No cars allowed. You have parking off the Island and walk or drive your golf cart on. This home has a beautiful private sandy beach and views that go on forever. The Bay and the Hills! A six bedroom home with a beautiful kitchen, large living area with view, Master bedroom and sitting room also have the fabulous view of the Bay and Hills. This home has elevator access also. All for the amazing price of $6,750,000.